Quick, someone you love has been chosen in the worst type of lottery this side of a dystopian future. What do you do? Obviously, you’re brave and headstrong and you’ll do anything for your loved ones--you demand to take her place in the arena. Well, believe it or not, simply surviving there is not going to be an easy task; the other contestants have it out for you, and the environment itself is rigged against your every move. You are going to need something sleek, comfortable, and durable to give you a leg up against your competition. 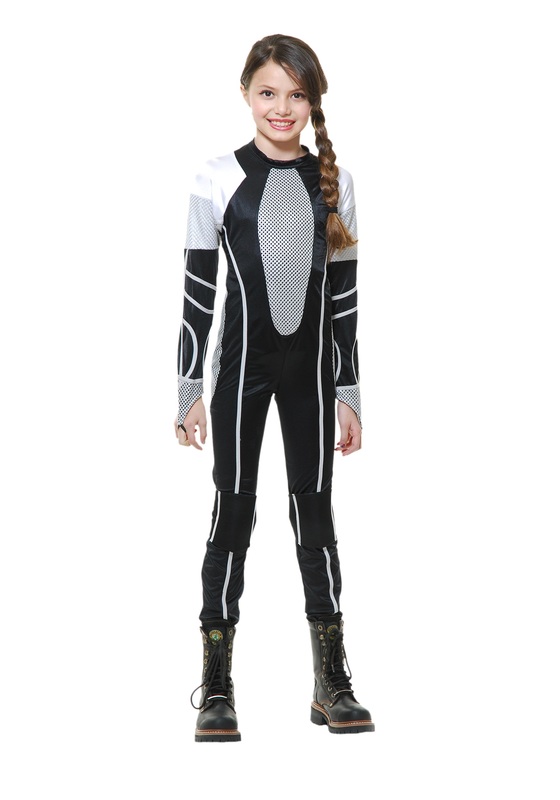 This Survivor Jumpsuit Girls Costume will certainly help you out, aiding your body to breathe and move as you fight your way through dense jungles and swim across deep bodies of water; it’s everything you need to keep your senses sharp and your reflexes quick. 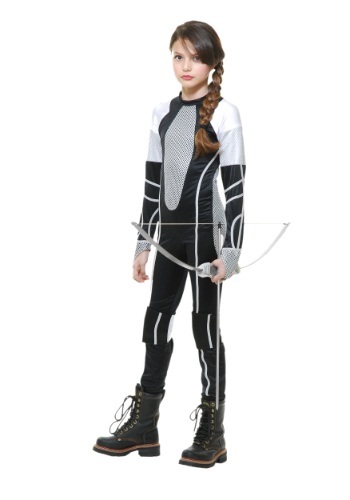 This jumpsuit will help protect you from the elements, but not from the mental toll this competition will inflict. Good thing you came with a super attitude and superior optimism. A full zipper in the back secures the suit around your body, and is accented by silver mesh paneling in the sides and center of your body, as well as the shoulders. It’s got everything you need to come out on top in the arena, now you just have to keep an eye out for tricks and traps at every corner--be careful, even the bugs and trees have eyes and ears.